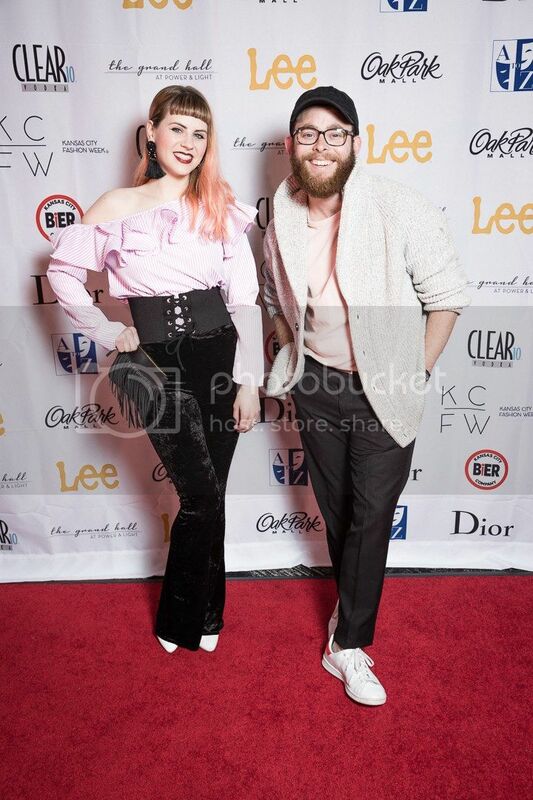 If you follow us on Instagram or Facebook, you probably already know that I recently attended Kansas City Fashion Week for Fall/Winter 2017, since I was posting fun shots and Instagram stories of the events and runway shows. 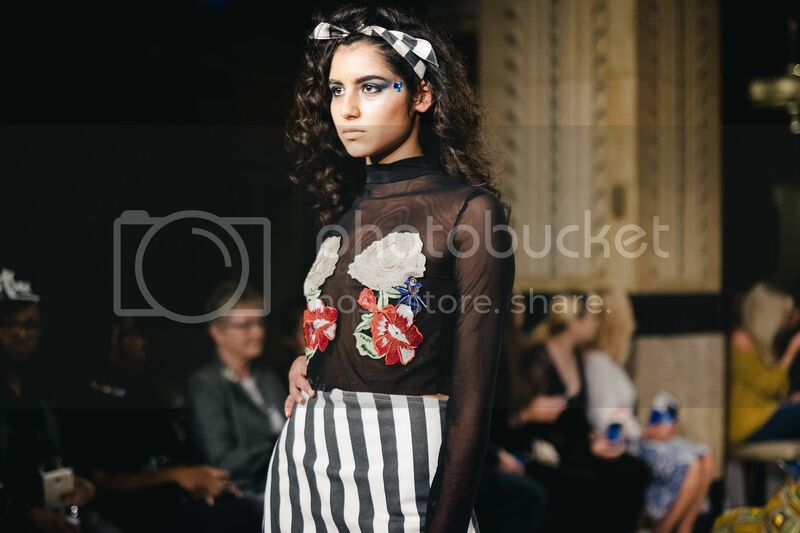 My first KCFW experience was last fall for Spring/Summer 2017 (see the rundown here), and I was able to attend even more events this time, so I decided to break it up into two posts so as not to overwhelm you. 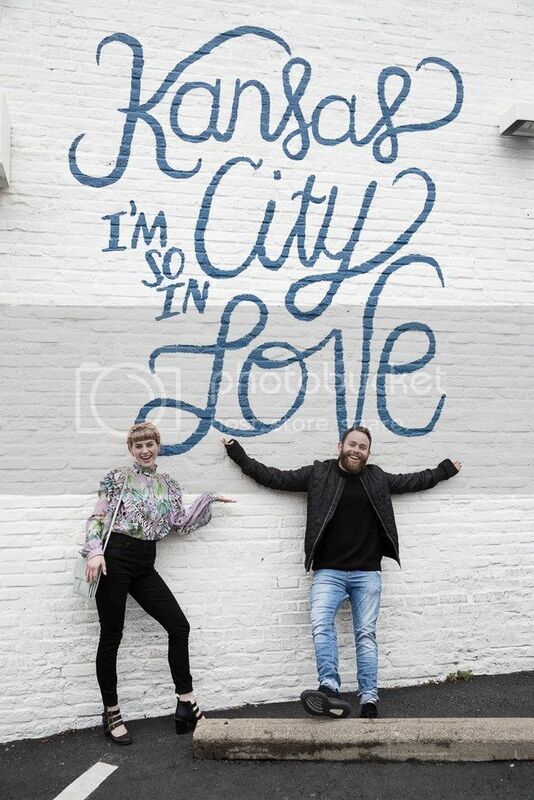 To start out the week, I attended the Media Meet & Greet at Fortuity (home of the famous Kansas City, I'm so in Love mural). I'd never been to the shop before, and they had tons of cute boutique clothes, as well as fun giftable items. I'll definitely stop by next time I need a fun outfit for an upcoming event. 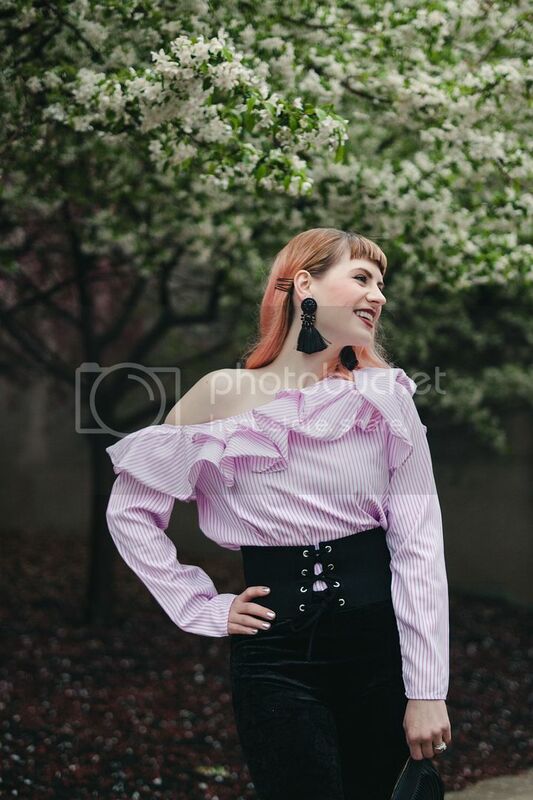 The weather was chillier than I'd hoped, so I dressed in a super fun lavender ruffled tiger top and high waisted jeans for a trendy yet casual look. Wine was provided by KC Wineworks (so good, read more about their wine in this post), and delicious bites came from Dolce Bakery. I was able to meet and talk to a lot of other bloggers, which was awesome. It was great getting to meet them all in a laid-back environment before being thrown into the chaos of the runway shows. 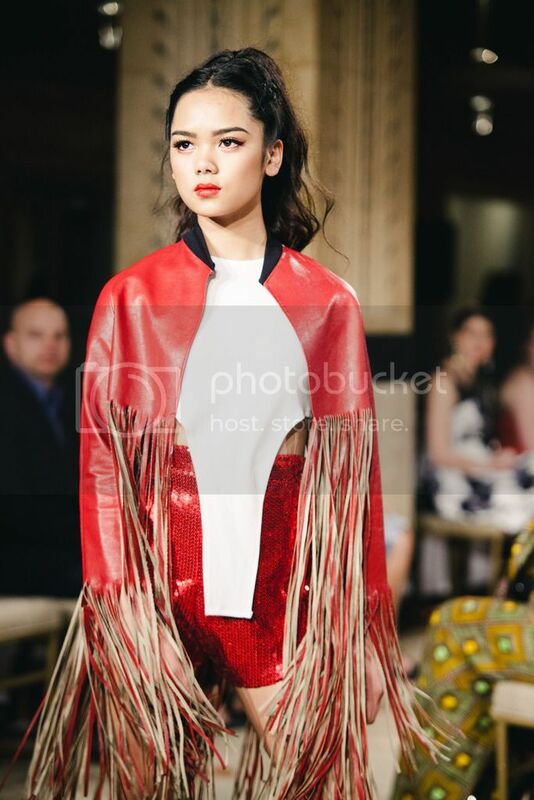 Speaking of runway shows... let's talk about my runway look for Wednesday night! It was still fairly chilly out, so pants and long sleeves were perfect. 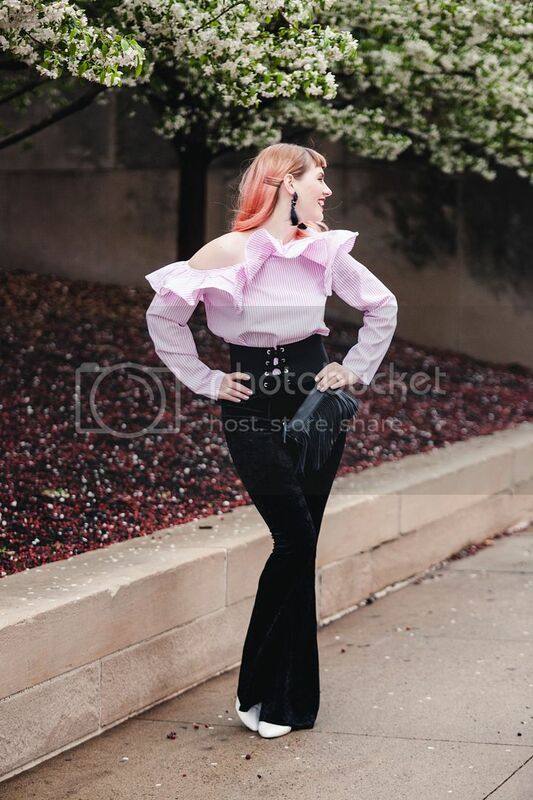 For an edgy feminine look, I paired a ruffled pink pinstripe top with black velvet flares, brought together by wide a corset belt. Large statement earrings and white booties added fun drama to the look as well. Now, onto what was actually on the runway! I've rounded up a few of my favorite designers from Wednesday evening that featured Fall trends I'm super jazzed about. 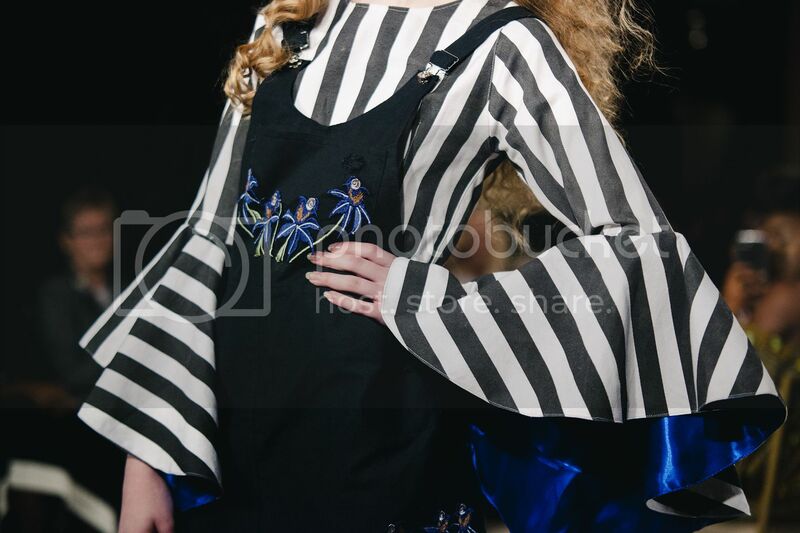 First up (photos below), was Designs by Miranda Hanson, who is a high school junior! 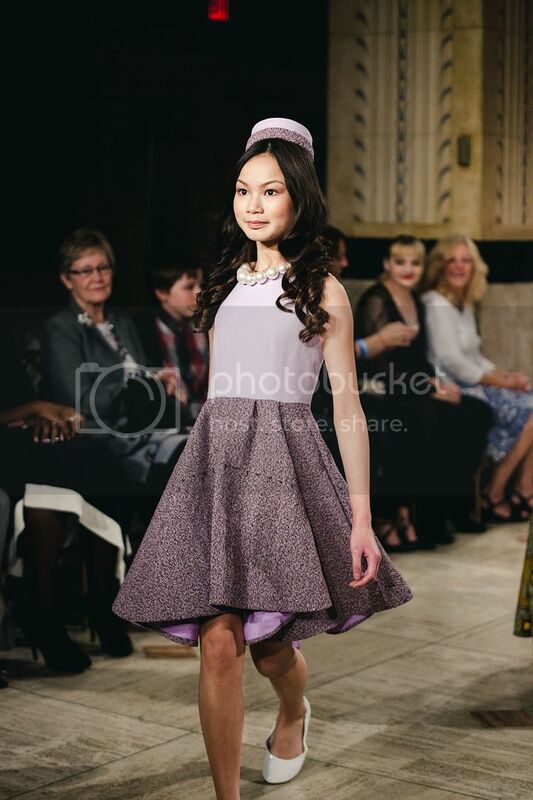 She started sewing at the age of 8 and put together a totally street-ready collection. 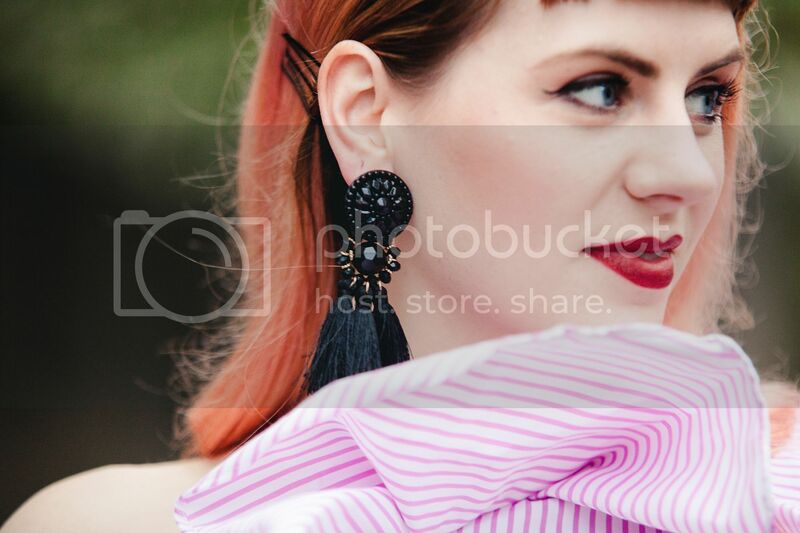 Embroidery, sheer material, bold stripes and fun details created tons of character and I could honestly say I would wear any of it right now. 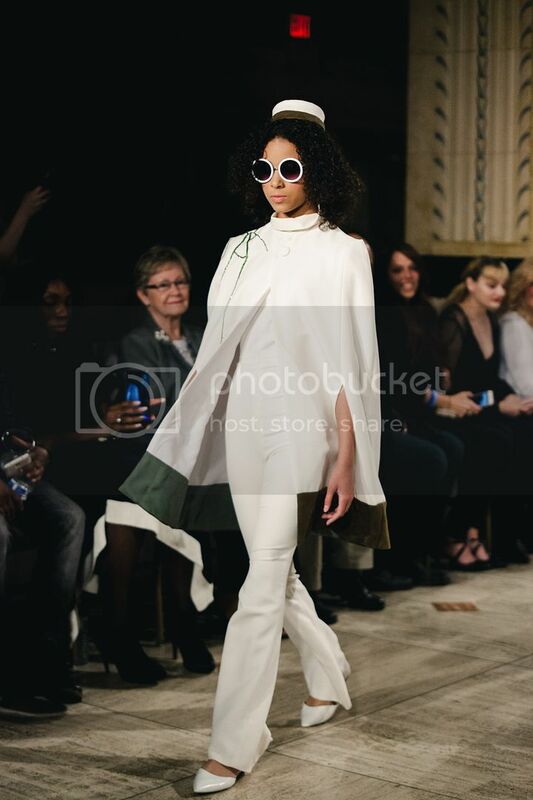 Next, Olivet by Tobie Marie, came from another young designer: a junior in college. Her "New Jackies" collection featured Jackie O-inspired ensembles on preteen and teen girls, and I'd call them adorable, but that would be undercutting how professional it was. Pillbox hats and round sunnies, accompanied by cheery throwback music, made this collection a total delight to watch. 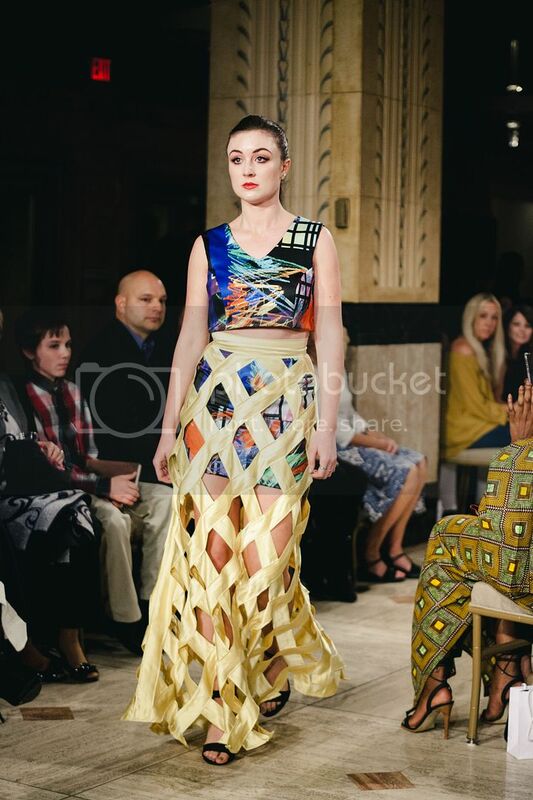 Not to mention these girls slaaaaayed the runway. You think those last designers were accomplished for how young they are? (Well they are; not undercutting that!) 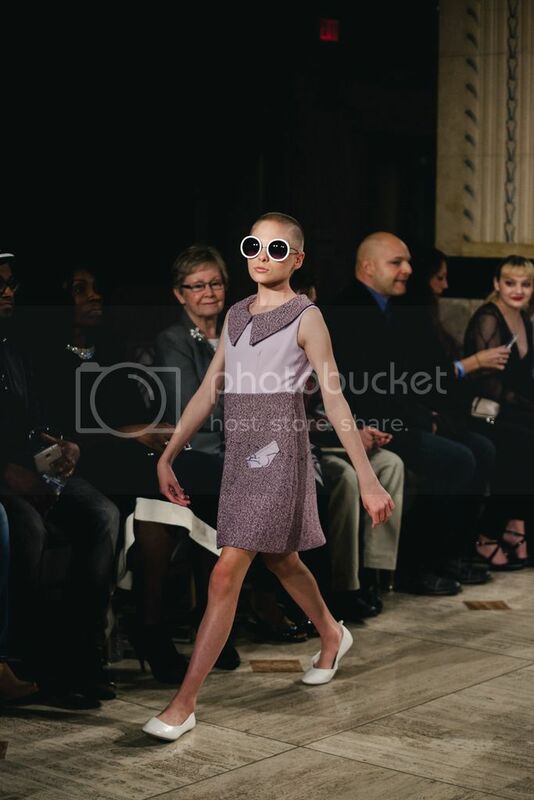 But, this next designer of Kelly Callaway Designs, is eleven years old. Yes, ELEVEN. Her craftsmanship and intricate designs blew me away. Her goal is to be on Project Runway Junior, but she's too young to audition. You better believe I'll be tuning in when she gets on that show! Next up was a fun and unconventional duo, Coco and Ilia. Their video game and comic book inspiration made for an ultra-cool high end streetwear collection that's as fun as it is empowering. Keilah Jadlow totally immersed us in the '70s next, and I loved every second of it. 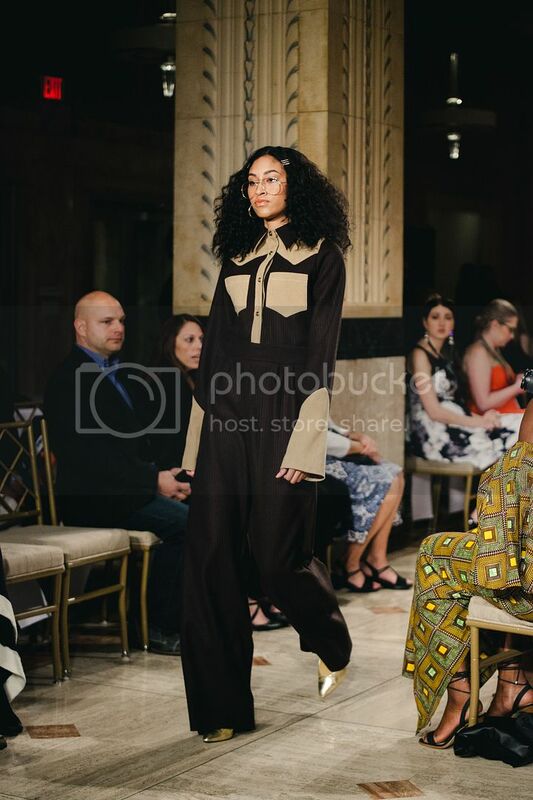 From big ruffles to wideleg pants and huge glasses, this collection was so cohesive and on-trend, while taking tons of cues from years past. 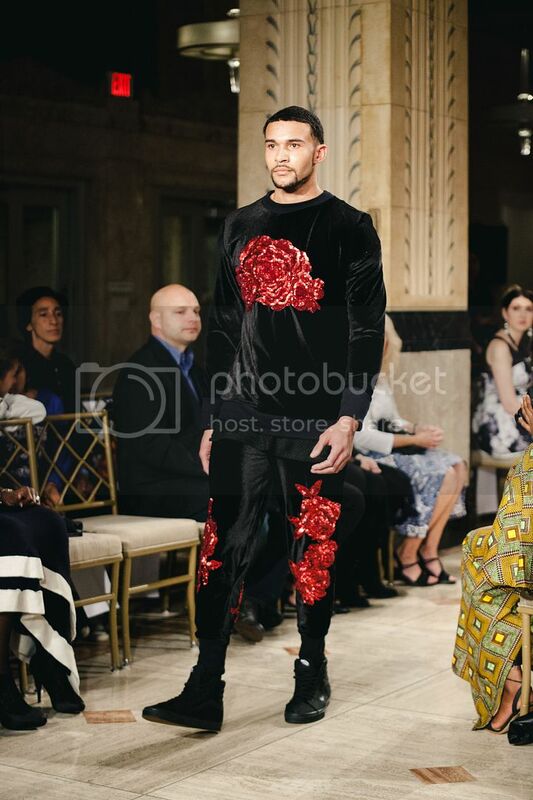 My last fav for the evening, Sheraz Pompey, is a self-taught designer from Kansas City, who specializes in evening wear for men and women alike. He uses tons of sparkle, sheer material, and my personal favorite aspect: sleeves that reach the ground. Talk about drama! 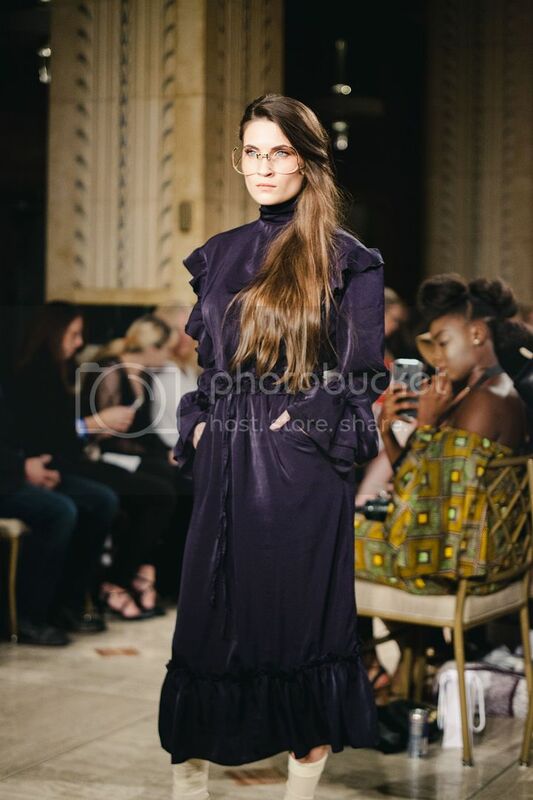 What looks are you loving from this runway show? Any fun trends you're excited to try for next Fall? Special shoutout to my photographer for the week, Chris Yankey, pictured below. 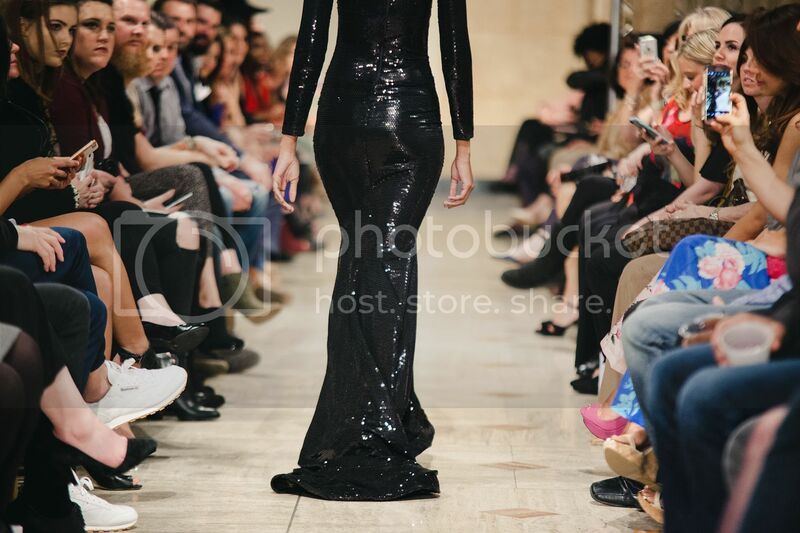 Thanks so much to Kansas City Fashion Week, LLC for letting me cover the events! Stay tuned next week for Part 2!